In the last few weeks, the application for White Dirt farm has been submitted. On receipt East Hants carry out a check to make sure it is complete and can be properly consulted upon (Consultation by the Public, HCC, Parish, EA, landscape, Environmental and other organisations). In the last few days, the application has been declared as invalid as some of the desktop study work has not been carried out. This means that Taylor Wimpey have to carry out this work and submit it to allow the application to re-commence. When this is done, the timescales for the consultation will be started again as the application needs to be complete for the consultation process to begin. Depending on how long it takes Taylor Wimpey to prepare this document we could be looking at a 3 to 6 week delay for them. In the meantime, the EHDC planning portal will still take residents and other interested parties comments to save the confusion of stopping, then re-starting the process. The Taylor Wimpey application has caused some concern locally, and I have received a number of calls from concerned residents who felt that some of the literature put out by Taylor Wimpey suggested the plans had been well discussed with East Hants, and were a done deal. Hopefully this rejection of the application demonstrates this is very much not the case. This application will not now be heard at planning committee until November at the earliest. 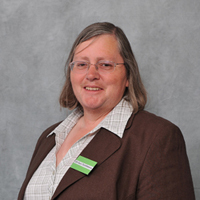 Cllr Catherington Lovedean Ward, Horndean. It would be helpful if we could be told here on HorndeanMatters when the application is complete, and importantly the new final date by when we must object. The number of objections to date is reassuring but I am sure there are many others who will submit objections before the closing date.